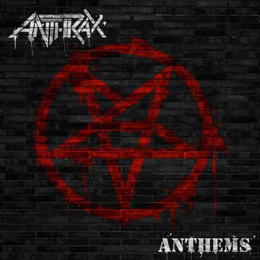 Anthrax is an American trash metal band from New York and was formed in 1981 by guitarists Scott Ian and Danny Lilker. The band was named after the disease that those two saw listed in a biology textbook, using it because it sounded "sufficiently evil". the band has since released ten studio albums and 20 singles, and made an EP featuring American hip hop group Public Enemy. The band was one of the most popular of the metal scene in the 80’s. When thrash metal began to gain a major following in the mid-to-late 1980s, Anthrax were dubbed one of the "big four" of thrash metal alongside Megadeth, Slayer and Metallica. The band release a cover album witch features songs from some of the band's favorite acts of the 1970’s, as well as "Crawl", a track from their latest album along with its special remix. Well the good thing about this record is that it are ace songs nailed and given the Anthrax treatment and sound a bit heavier and faster than normal. The bad thing about this record is the fact that it’s not a new album with new material.